With the advent of Union Pacific’s Oregon Short Line Railroad in 1884, Payette underwent a dramatic revolution in commerce as well as in life styles. The Oregon Short Line brought train-loads of prospective “settlers” to the valley and promoted excursions and special rates to almost every event, east and west. 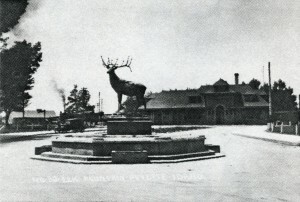 The year 1904 was a busy one for the Payette station – figures show that the town led the entire state, including Boise, in the number of incoming carloads of freight. Fifty-nine car-loads of freight arrived in Payette that year, compared to twenty-seven in 1901. In the early 1900’s a special train, “The Pony”, made two round trips daily between Huntington and Boise for the convenience of businessmen and shoppers. So popular had train travel become by January of 1905 that a “hack” regularly met all trains at the Payette station to taxi arrivals to their homes. In 1906 Payette got a handsome new train depot constructed of brick and stone and surrounded by an attractive park. The new depot enabled Payette to better handle the increasing number travelers. 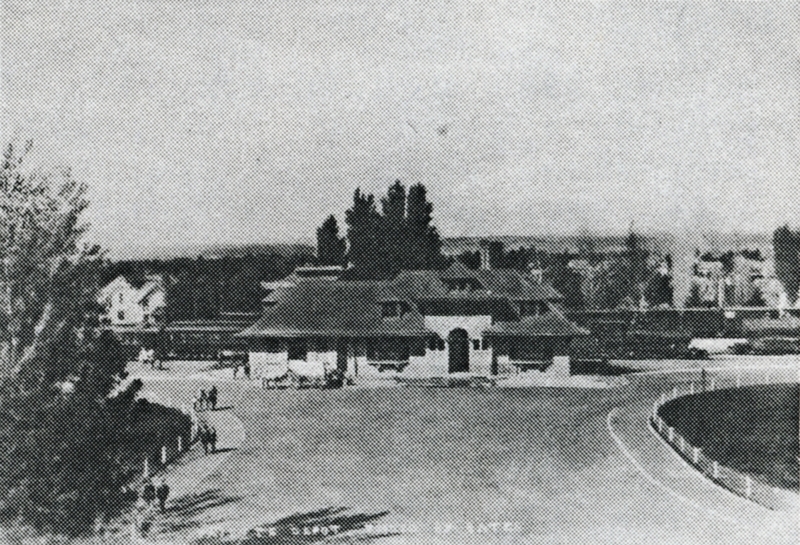 Unfortunately, the depot was demolished in 1985. Payette had hoped for an electric trolley line and though it never materialized the town did get its “Pumpkin Vine” or Payette Valley Railroad in 1906. The Payette Valley Railroad was the key that opened the Benchland to Emmett and unlocked Payette’s rich agricultural wealth. There was another railroad planned around 1883: The Seattle, Boise, and Salt Lake Railroad – building from Payette to the Seven Devils Mining Country. However, this railroad was never completed.